Italian Touch has all of your favorite Italian cuisine for eat-in, takeout, and delivery for all of Winchester. 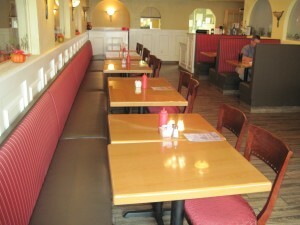 Come in for our daily lunch and dinner specials, or have a seat at the bar after a hard day at work. Hours of Operation: Monday thru Thursday: 11 a.m.-10 p.m.; Friday and Saturday: 11 a.m.-11 p.m.; Sunday: 12 p.m.-10 p.m.; Bar is open every night till 2 a.m.